If possible please add this to your Novel Updates Reading List do leave a review as well. Attack, Defence, Speed, Agility, and Virtue: these were the five basic attributes. However, in Zou Liang’s Beast Spirit, a completely new type of attribute appeared —— Deterrence +1! Deterrence was an attribute found in high-grade demon beasts that could intimidate the opposition and suppress the opponent’s own attributes. This was definitely a super outstanding skill, and Zou Liang—already an expert—was very clear that it was important to be imposing, as this Deterrence skill would make it possible to obtain the upper hand. With his weak Beast Spirit, this Deterrence aspect alone had become a separate clump and did not occupy his Beast Spirit. Even though it was only one point, in Zou Liang’s hands it would be able to show an enormous effect. It was definitely related to the glare of the Dragon Fish, as at that time he had felt that something was not quite right. Who would’ve thought, though, that this brother would’ve given such a large present? This was probably the Beast God’s reward. Thinking on the spoils of war, Zou Liang pulled out the Dragon Fish Pearl that Little Ball had retrieved, and although it emitted a foggy gloss and shiny radiance, Zou Liang already held all manner of guesses in his heart. This could be some kind of escape pearl or something similar; once he returned, he would do some research and perhaps be able to find some records, but the concept of not revealing one’s treasures was one he understood. Through the entire night, Zou Liang examined his Deterrence Beast Spirit in high spirits. As soon as the Deterrence was utilised, it was possible to control a certain kind of aura with distinct characteristics. It was definitely something with a suppressive effect, but the current range was still small and with great distances the results were like flimsy clouds being blown away by the wind. The domineering aura that the Dragon Fish could spread all around was something that Zou Liang longed for. Zou Liang’s consciousness grew hazy after thinking and he fell asleep. 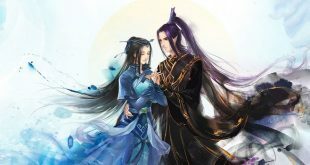 The taste of separation was not easy to stand, of course; even though Zou Liang was outwardly “unaffected’, in the depths of his bones he was still slightly unwell. The largest difference between males and females, however, was that a male’s ability to adapt was very strong. “Heihei, I knew that Big Brother would not have any issues,” Ou Nisi Te said simply and honestly as he jumped up and dressed with a quick efficiency. The two were accustomed to first undergoing a thousand press-ups each, but Zou Liang very ungenerously added a burden onto Ou Nisi Te. It was inevitable since Ou Nisi Te was too much stronger than him; if quantity alone wasn’t enough, it was only expected that the quality would have to be higher. In the Rock Beast’s Thunder, Ou Nisi Te’s performance had been eye-dazzling. His powerful defence in addition to his fierce attack was indeed very destructive to demon beasts. However, since he only had one technique, if he fought against a beastman it would be hard to bring out his inner qualities. Glancing at the wheezing Ou Nisi Te hitting the wall, Zou Liang pondered over whether Ou Nisi Te should add some more techniques to his repertoire… but with Ou Nisi Te’s situation, having more could instead just result in creating a headache. Anyhow, neither of them were old so they had to create a solid foundation and—after considering it—Zou Liang still determined that Ou Nisi Te just needed to train his strength well so that the Clasping Avalanche achieved a certain standard. To do this he needed to grasp the tempo, but to have only one move that allowed one to eat until they were full was not impossible. Ou Nisi Te’s training was one that strictly abided by the rules. If Zou Liang told him to use his full strength, he would use his full strength. But the walls here were not very sturdy and—with a honglong sound—the wall collapsed. Ke Te and Lan Di charged over one after the other, believing something had happened. “F**k me, you two are seriously full of vitality and already starting to toss around so early in the morning.” Lan Di yawned. “The effects of morning practice are the best, Lan Di. Laziness is not good if you wish to become a peak-grade Shadow Hunter,” Zou Liang laughed. Ke Te was also stunned and emotionally moved. He was a member of one of the eight large beast tribes and had good talent while being very punctual to his practice, but he still could not be considered hard-working. He did not think that the Xi Bo Lai brothers would be so focused. There was always a reason for success. “Ya Se, is there any use to this kind of practicing method? It’s so strange,” the two took the initiative to ask, no longer sleepy. Ke Te also attempted it for a time but it was not necessarily too much better. As a Crusader, he did not lack direct confrontations with the other, and when receiving attacks the balance of the core was very important. Although he could not understand it with reason, he instinctually believed this was an easy and efficient method. The morning was lively and Tuo Ma Si then took everyone to return; by this time, they had messed around for long enough. “Find me? What for?” Zou Liang asked; he didn’t know what kind of arrangement he owed Ji Na. “That’s enough, Brother, you have luck with the ladies. Our Leopard tribe females are clear on their love and hate; once they like someone, they will chase after them daringly!” Lan Di interpreted with boundless jealousy. “F**k you, if you’re so great, why don’t you go and give it a try! She doesn’t even so much as look at you!” Lan Di lashed back, his leopard eyes as round as balls. “Is it hard for you guys to bear with not arguing for a day?” Ai Wei Er laughed. After seeing Ya Se’s mood was very good, she had relaxed as well. “How did the topic suddenly swap to me? This trial by fire can be considered perfectly concluded; Ya Se, will you be returning to the academy next semester?” Ai Wei Er asked. Being a priest in training for the temple, Ya Se would actually no longer have to attend the War Academy. After the Spring Festival, Ke Te, Lan Di, and Patelisi would already be third years while Zou Liang and Ou Nisi Te would be second years. It was not so long ago that the two had been worrying over whether they could even attend the next year, but those days were already no more. Reality was hard to predict. It was obvious that being a warrior was not too fitting since he was part of the official Priest occupation. Whether it was Spirit Engraving or War Songs, they were not the best suited for the War Academy. Everyone looked to each other. Although they had known Zou Liang for a while now, only Ya Se would have such a strange thought; soundly demonstrating talent for both Spirit Engraving and War Songs, he had instead run to the Medical Institute. “There shouldn’t be a problem. The only worry Principal An Qi Luo has is that you might leave school. As long as you are willing to stay, you’ll be able to pick wherever you wish to go,” Ai Wei Er laughed; she had met the strangest person there could be. Even just a Bi Er that loved to supervise the library by itself would be a very strange thing. Ai Wei Er was the sole female of the team, and the beast tribes were in a world where heroes took the lead; they had to look after her properly. “Oh? How should I say this… hehe, only when you are a second year can you be considered a true student of the War Academy and first year can only be considered as preparatory studies. The seniors love to give the new students a bit of a show of superiority since this is a custom, but us brothers can actually give quite a number of them a surprise, especially Ou Nisi Te who is a Berserk Warrior. Many people are waiting for school to start to give you a bit of colour1.” Lan Di laughed, unworried. Ou Nisi Te’s ferocity was something that one could see with their own eyes; the ones that should be worried and frightened were the others. “Twelve for me, too,” Ke Te indifferently added. The two both had their prestige within the War Academy and fighting was nothing more than a simple homestyle meal. The War Academy did not care at all, and as long as it did not concern someone’s life, anything was fine. The beast tribes were governed by martial might and how was someone going to become powerful without battles?